When using the Internet, your IP address is publicly displayed and can be accessed by anyone. Others can intercept your communications and searches when you’re not on a secure network. They will know what you do on the Internet and steal your online data. What’s worse, the ISPs are allowed to sell your browsing histories to the third parties without your consent. To reclaim your privacy, you need a VPN. SmartVPN does a great job on protecting privacy. Besides, it assists users to overcome Internet restriction to browse freely. You will know if it is suitable for you in this SmartVPN review. SmartVPN is a Virtual Private Network service which protects your privacy and anonymity. It offers anonymous IP addresses and secure servers to prevent others from tracking and snooping at you. When you perform personal activities on insecure network, it encrypts your connections with the latest technology. You don’t need to worry about information leak anymore. It can allow you to bypass geographical restrictions, granting you access to webpages that may be prohibited in certain countries. You won’t be blocked from your favorite content. With different protocols, you can keep online activities private and stream videos on many platforms at superfast speed. To meet different needs, SmartVPN provider offers three packages. There are Basic, Premium and Dedicated plans. Under those plans, you can choose to signup monthly, quarterly, semi-annual or annually. The longer term you purchase, the more discounts you will get. Currently, there is no discount on monthly plan. The quarterly plan is 5% off, the semi-annual plan is 10% and the annual plan is 15% off. The Basic plan is the cheapest one which starts from $3 USD per month. Only two servers are available that are located in Germany and Netherlands. Servers in Netherlands are fast and great for streaming. You will get unlimited bandwidth, shared IP and access to all protocols. The Premium plan offers access to all servers which start from $6 USD per month. The rest features are the same with the basic one. You will be able to access to more restricted contents. The Dedicated plan starts from $13 USD per month. It allows you to enjoy all the benefits of the Premium package. The different thing is you can reserve a dedicated IP address. This is the reason why it is more expensive. You are the only owner of the IP address. You can use it to stream videos, hide location and keep private with better connection. SmartVPN is a legit and useful VPN service. It secures your online browsing with military-grade encryption to protect your private data from malicious spyware, hackers and even your government. With its protection, you even can use public WiFi hotspot network securely. 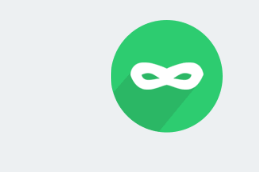 The provider offers a variety of protocols to let you connect to the Internet anonymously with high level of protection. It also masks your IP address and connects you to outstanding servers to protect your identity, your location and any messages or files you send. You can browse the Internet anonymously on different sites can put your internet security on the stake. That also means you can send and receive sensitive information/data on P2P sharing networks safely. Besides, this great VPN is able to break the geographical constraint, allowing you to enjoy your serials beyond the geographical limits. As it offers unlimited bandwidth, you can stream any content you want. The dedicated IP is another strong point of this service. To get strong VPN protection, you won’t be broke. SmartVPN starts from $3 USD per month. Why do you need to encrypt your connection? As we know, the hackers are able to crack your connection and gain passwords to your email, your social media sites, and even your bank account. All the information you exchange with any public server is vulnerable to inspection and exploitation. If you use the Internet for such purposes like banking, paying bills, buying goods or transferring business data to partners, you need SmartVPN to keep your valuable information safe. If you are a businessman or leader of an organization, you must have some very confidential information that you access through the internet and lacking the proper security may cause in the leaking of that information which can become a serious loss for you and your organization. VPN is necessary. It will place your data in an encrypted server to prevent others from accessing your data without consent. This VPN secure all your Internet connections with the best encryption. It utilizes 256­bit encryptions which is the highest standard in VPN industry to ensure your security. If you prefer speed over security, you also can connect to PPTP protocol with 128­bit encryption. Besides, SmartVPN helps you in safeguarding your intranet/extranet and keeping it only for your encrypted dedicated ID. It provides Dedicated IP to put limits to the users of your intranet/extranet as per your choice. It’s an extra layer for security. The provider offers various sophisticated data encryption protocols to suit your network and guarantee your right to privacy on any system and in any region. It supports PPTP, OpenVPN, IPSec in both IKEv1 and IKEv2. How do you know it is powerful enough? Banks and businesses use the same protocols to protect themselves from potential hackers on the Internet. The same methods and technologies are used by the provider to protect you. You will be able to safely and securely conduct financial transactions or buy online goods without compromising your details over public Internet connections. 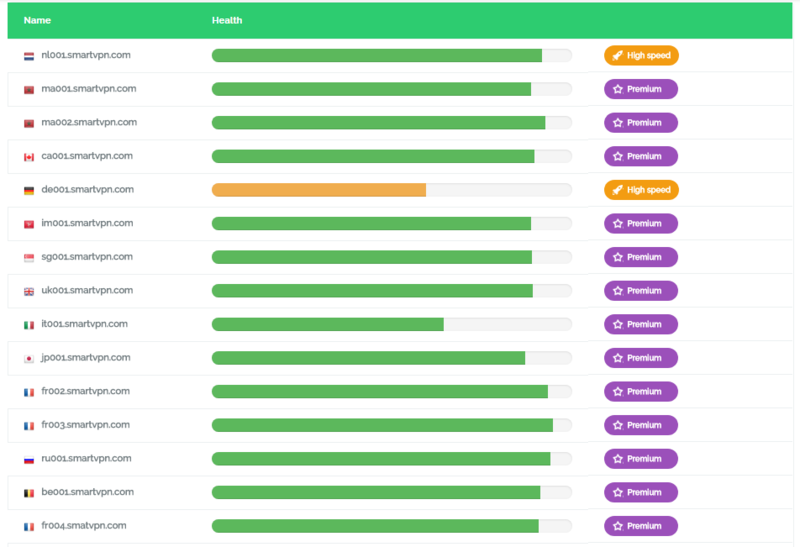 SmartVPN develops severs in about 17 countries around the world in order to offer the lowest latency and allow you to choose the server that suits your needs. You can use their service as long as you have Internet connection. You can connect and switch to any server you like. There is no extra charge for server switch. It offers options for you to explore any server you please for you convenience. If you travel to another country, you may need to connect to server in your own country to access some messaging apps to contact home. Some video-sharing platforms may be banned in the region you live. In this case, VPN comes to help. It spoofs your location and sends your data through encrypted server to escape from Internet censorship and restriction, granting you access to content in any country from wherever you may be. SmartVPN gives a particular importance to your privacy. It is a tool developed with the intention of keeping your online privacy private. It uses the highest encryption standard to ensure your privacy and data are secure. All your moves show an anonymous address and identity to others when using Internet. Besides, it lets you own a dedicated IP which follows you everywhere you go and helps you strengthen privacy as it adds an extra layer to your Internet security and online privacy. You can become invisible to anyone who would monitor you or access your information using a method called Deep Packet Inspection. At the same time, the provider does not keep any log of your traffic and is not able to share your private information to the third party. You are the only person who knows what you do online. No information that can be used to identify you is stored on their network. It is a reliable service to restore privacy. Lots of users pick SmartVPN to unblock restricted content. Many streaming services come with geo-restriction and also block VPN visits. Netflix is the most classic example which only allows users in US and Canada access its content. As it blocks VPN, some users still have been refused when trying to access it. Some users paid for the service while they only can see 70% of the content. It is not fair. 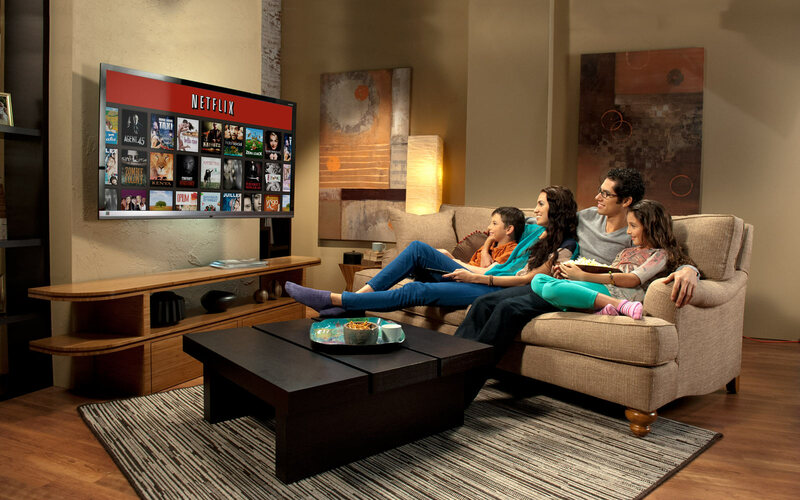 Luckily, this VPN helps users get around regional restrictions and unblock popular online movie streaming sites such as Netflix, Hulu, and HBO NOW successfully. That wins over many VPNs in the market. Some users may need VPN to bypass government censorship to access blocked websites in their country. Some governments block many foreign or domestic websites to prevent culture from other countries to corrupt their citizens’ thoughts, considering those contents are a threat to their society. China is such a country with strict Internet censorship. It has the most advanced firewall in the world to censorship all users in mainland China. YouTube, Google, Facebook and other famous international services are banned in this country. In fact, many countries like Turkey, Russia and Iran etc. also control Internet activities strictly. You can’t send and receive information about important global issues when your government has blocked access to certain websites. Try to unblock your favorite websites, but fail? Can’t stand the strict Internet censorship any longer? It’s time to get SmartVPN. The geo-restriction and government censorship work according to detected location. Therefore, your IP address is the key to defeat those restrictions. It offers both shared and dedicated IP addresses to replace your real one. It routes your traffic through servers that are secured with OPenVPN which is the latest protocol in VPN industry. 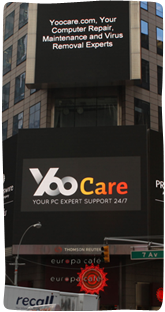 The servers are strategically placed all over the world, covering the most popular locations. When connected to those servers, your request appears to be sent from the location you select. Once the streaming servers believe that you are located in required place, they give you permission to use their services. When the firewall does not know you are located in their jurisdiction, it will not monitor or block your connections. This VPN breaks all the geographical barriers and circumvent firewall system to enable users to access regionally blocked websites. With SmartVPN, you can enjoy your favorite serials or movies on your favorite channel without being concerned about the geographical barriers. For gamers, they not only get the freedom to access all their games from anywhere, but also can benefit from a better latency in some cases due to a better routing. You still are able to enjoy Internet freedom even though you are living in China or Russia. When downloading or playing video games, do you concern about data usage or connection bandwidth? Did you have to stop streaming videos at the end of a month due to lack of bandwidth? Get SmartVPN. It offers unlimited bandwidth and gives you better connection. When you use the public network, the ISPs may throttle your connection according to what content you access. If you experience slow Internet connections and poor streaming quality when viewing online content, your ISP may be throttling bandwidth. SmartVPN allows you to connect and transmit data/information via another server which is operating at a higher speed. As your data goes through encrypted server, your ISP does not know what you up/download and your bandwidth. They can’t decide to throttle your connection. You know what? Some VPNs increase your connection speed while some slow down your connection badly. Therefore, it is very important to pick the right VPN. According to our VPN test result, this VPN works at great speed. Everyone wants high speed. High Internet speed will save you from endless buffering, allow for HD streaming capabilities and give you a much better viewing experience. Besides, you don’t have to pay high fee for large bandwidth with this VPN. Is SmartVPN compatible with your device? It’s an important question. To use a tool to protect your device, you need to figure out whether it will work on your device. This VPN works on all major devices. You can install it on desktop computers, Laptops and Mobile smart phone devices including Android, Apple’s iOS, Blackberry and Windows Phone. No matter you prefer Windows, Apple or Android, it is ready to defense your privacy. At the same time, the provider allows multiple simultaneous connections. It is possible to cover all of your devices with one account. The VPN is easy to use and you can finish setup with few clicks. It does not require complicated computer knowledge to use it. If you have problem in VPN setup, the provider offers detail guides on the website. You also can choose to contact them for tech support. How to Setup VPN on Mac? 1. Open Network settings in System Preferences. 5. Select VPN for the interface, PPTP for the VPN Type, and enter SmartVPN for Service Name. 7. Select the newly created SmartVPN connection. 8. Enter one of the SmartVPN servers adresses in the Server Address field. 9. Type your Login in the Account Name field. 10. Click Authentication Settings and enter your Password in the Password field, then click OK.
11. Click Advanced, check Send all traffic over VPN connection, then click OK.
How to setup VPN on Windows 7? 1. Open ‘Networks and Sharing Center’ from ‘Control Panel’. 2. Choose ‘Set up a new connection or Network’. 3. Choose ‘Connect to a workplace’and click ‘Next’. 4. Click on ‘Use my Internet connection (VPN)’. 5. In ‘Internet address’ field type one of the addresses of SmartVPN servers. 6. In ‘Destination name’ field type SmartVPN. Also check the ‘Don’t connect now, just set it up so I can connect later’, and then Click ‘Next’. 8. Click the ‘Close’ button to return to the ‘Network and Internet’ screen. SmartVPN does not have live chat support. You can contact them via ticket. From the homepage, scroll down and click on “Contact.” You will be redirected to a contact form. Fill up the form with your problem and send it out. You will need to wait for a while to get a respond. Live chat will be more appreciated for emergency case. Its social media accounts are provided on the website. You can get in touch via Facebook, Google and Gmail etc. On the website, it offers “How to Setup” guides and FAQS page that are useful for users who have problem in VPN setup. SmartVPN is a great VPN service which has some of the best raw speeds around as well as reliable connections to boot. It offers dedicated IP to mask your IP and keep you anonymous and safe while you are surfing the Internet. No traffic log policy is provided. By combing the high encryption and advanced protocols, it gives you uncrackable protection, helping you avoid hackers and intrusive government agencies. You are even able to check email and do online shopping without being compromised while you are at a WiFi hotspot. If you would like to stream, you will no longer have to worry about geo-restrictions telling you what you can and cannot watch or do on the web. The provider offer unlimited bandwidth and does not limit your speed. Gamers can get better routing for excellent connection. Get VPN to enjoy Internet freedom and complete privacy. It is only $ 3 USD per month.